Embodying the perfect mix of educational training in marketing, a savvy spirit, and a genuine passion for making a difference, Olivia Cooper joins the Green Apple team as Account Executive. Working closely with Green Apple Strategy’s Owner and Chief Strategist, Samantha Pyle and Account Manager, Emily Gabardi, Olivia will directly serve clients, making sure their project needs are met and helping them be successful. A Gulfport, Mississippi, native, Olivia attended Mississippi State University, where she majored in Business Administration with a concentration in marketing, management, and international business before completing a Master in Marketing from Nashville’s prestigious Vanderbilt University. While at Mississippi State, Olivia first studied interior design while she got involved in Music Maker Productions, a student-run organization that puts on concerts. It was in this role that Olivia’s strong organizational skills took root, as she was charged with event planning and marketing. Her involvement with Music Maker productions ultimately led her to become a business major, as she developed a genuine interest in marketing-related opportunities. Upon graduation from Mississippi State, Olivia served at the Mississippi Gulf Coast Chamber of Commerce, where she worked with the young professional organization and leadership program. 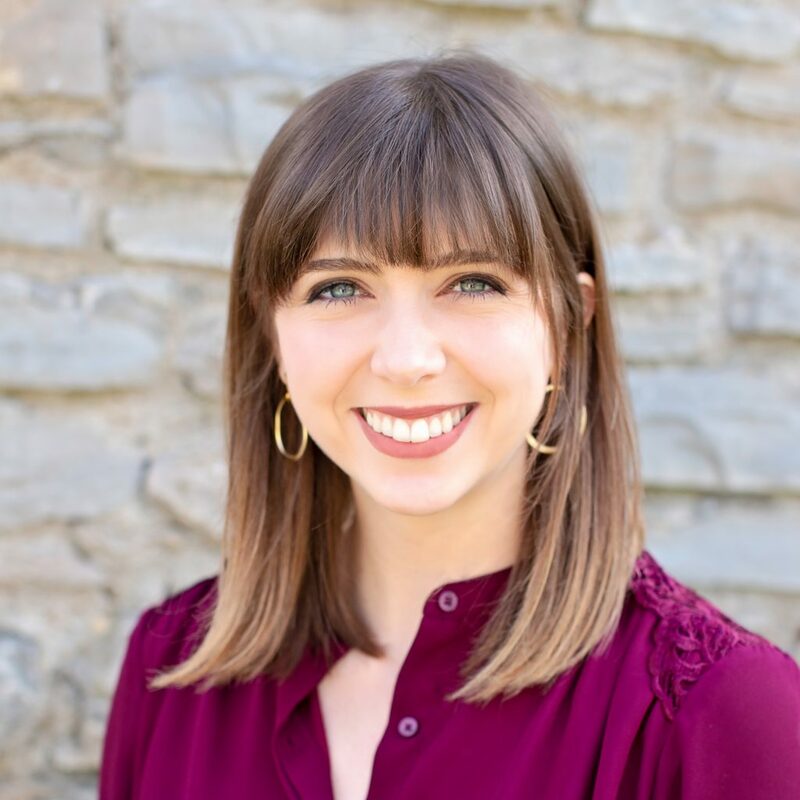 “I had the rewarding opportunity to do event planning and marketing for those programs, and it was an honor helping young professionals meet people and grow professionally,” affirms Olivia. After a season in her chamber role, Olivia ventured to Nashville to dive into Vanderbilt University’s Master of Marketing program, in which she completed in May of 2018. During her time at Vanderbilt, Olivia had the opportunity to gain some hands-on marketing experience while interning at Red Pepper, a Nashville-based marketing agency. It was this experience that affirmed her desire to work in an agency environment. On the search for career opportunities after graduation, Olivia discovered Green Apple Strategy, and she was immediately drawn to the smaller, boutique marketing agency environment. “I’ve enjoyed my past experiences in event planning, building relationships, and bringing clients’ visions to life. I’m excited that Green Apple will allow me the opportunity to take on that unique role for clients as Account Executive, assisting clients with their marketing and strategy needs as an extension of the teams I’m serving,” says Olivia. Beyond the office, Olivia is married to Justin, and they reside in the trendy East Nashville community with their miniature Schnauzer, Ollie. “Justin and I had always wanted to live in Nashville, so we are excited to now be official Nashvillians,” Olivia says. In her spare time, Olivia loves concerts and live music, baking and cooking, painting, crafting, and pretty much anything creative. Olivia and Justin also enjoy exploring Nashville’s newest restaurants and venues, especially some of the local craft breweries. Green Apple is proud to welcome Olivia, and we believe her past experiences and creative passions will be very beneficial to our growing team and clients.